Tue, Sep 11, 2018, 06:48 pm SL Time, ColomboPage News Desk, Sri Lanka. 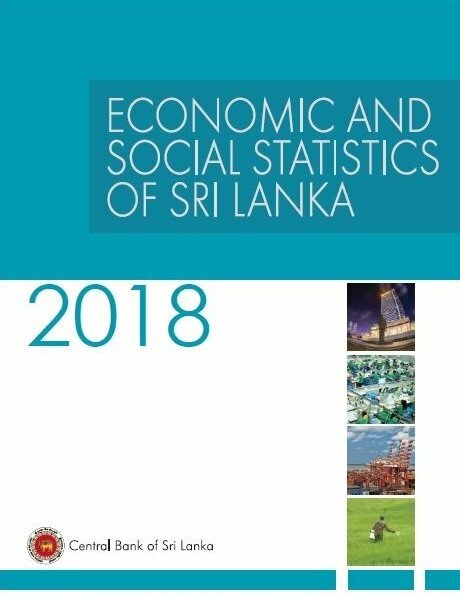 Sept 11, Colombo: The Central Bank of Sri Lanka today announced the release of the 2018 publication of "Economic and Social Statistics of Sri Lanka" for public access. This publication contains economic and social indicators of Sri Lanka in the areas of national accounts, agriculture, industry, external trade and finance, government finance, banking and financial institutions, money and capital markets, prices and wages, population and labor force, transportation, education, health, telecommunication services, climate and selected information on economic and social indicators of other countries, according to the Central Bank.